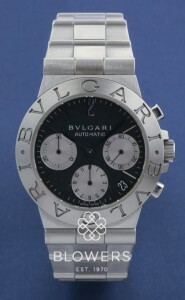 Bulgari is a name synonymous with fine jewellery and luxury watches. 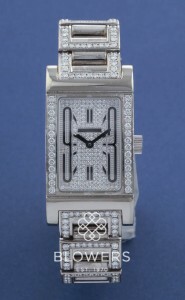 Founded in 1884, the brand established a watchmaking subsidiary in Switzerland in 1980. 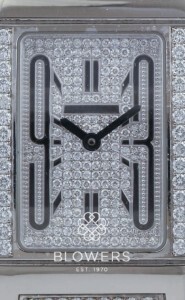 Since then, the brand has gained a reputation for its handsome watches, blending Italian elegance with Swiss watchmaking know-how. 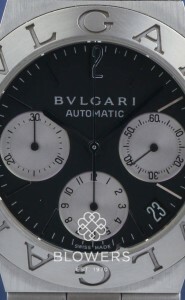 The brand’s most famous watch today is the Bulgari Bulgari, popular with both men and women. 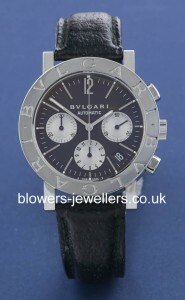 Browse Blowers’ range of pre-owned Bvlgari watches. Looking for a particular model? Contact us and we will endeavour to source it for you. 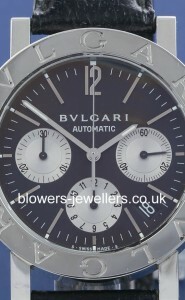 All watches on our website are physically in stock at our boutique in Kingston upon Hull, and can be viewed by appointment at our London office in Mayfair. Finance available.